The last pay checks are in and will be available for pick-up after Noon today, July 31st. 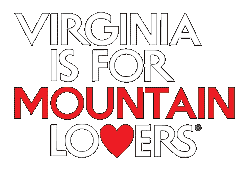 If you have anything to share about your experience, please send me your comments at jdinger@gilescounty.org. Also for everyone, if you were hired after the program hours were over, or offered to be hired, please let me know about this as well. Happy to have had you as a participant in the 6th Giles County Summer Youth Work Program. Stay informed about the program, time sheets, paychecks, and opportunities via our Facebook page. 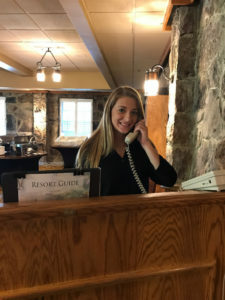 Casey Wilburn This summer, Casey worked at Mountain Lake as a hostess in the Harvest Restaurant. Casey‘s post-high school plans are to go on to Virginia Tech to obtain a degree in the medical field. 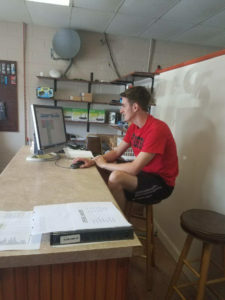 Chad Long Chad worked with the IT Department of the Giles County School System as his Summer Youth Work Program placement this summer. 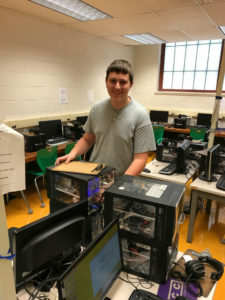 Chad is in the Computer Technology Program at GHS, plans to go to NRCC after high school and ultimately work in the computer field. Heaven Dimanche Heaven spent her summer working with the kids at the Narrows lunch program. After graduating from NHS next year, Heaven plans to go to NRCC and eventually work in the field of mathematics. Kyle Higginbotham Kyle graduated this past spring from the Computer Technology Program at the Tech Center. He is going on a bachelors program this fall with a degree in Cyber Security the goal. It should also be noted that Kyle is an Eagle Scout. Kyle was placed at GigaBeam Networks/WVVA this past summer. Finding and keeping a job is a key step in a young person’s transition to adulthood and economic self-sufficiency. Employment not only allows young people to cover expenses for themselves and their families. It also provides valuable opportunities for them to apply academic skills and learn occupation-specific as well as general “world of work” skills; such as teamwork, time management, problem-solving, etc. Teen employment (16-19 years) is directly associated with improved employment and earnings later in life as well as myriad other indicators of adult success. The summer of 2018 will mark the sixth year of the Giles County SYWP. Teen students, aged 16-19 are placed in 6-week/192 hour work settings that match their work experience (if any), their interests, aptitudes and their future plans. They receive a $7.25/hour incentive for the hours in their work experience. One half of this incentive is paid by Giles County and the other half by the worksite. The payroll is handled by Goodwill Industries of the Valleys and they also provide liability insurance for the participants. Additionally, Goodwill employs a case manager who is in consistent contact between the SYWP Manager, assigned worker and the worksite. At the end of the program period, Goodwill bills the county and the worksites for their share of the worker’s paid incentive. 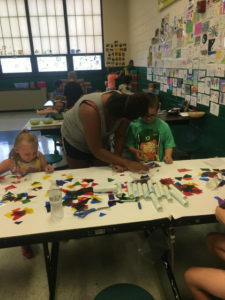 It should be stressed that this program is based upon the Workforce Development Act and as such, the worker is not an employee of Giles County, Goodwill Industries or the worksite. The application process begins in the schools. Each interested student picks up an application form at their school, fills it out and submits it back to the guidance office. Interviews are arranged for each student and conducted by a panel consisting of the Giles School’s Career Counselor, Giles County Combined Services Director, Goodwill/Workforce Manager and the SYWP Manager. Based upon the results of the interviews and further conversation with the various school counselors, each student is then suggested to a specific worksite for placement. In every case, effort is made to place students in a setting that best matches their interests and aptitudes and future plans. Each student is directed to meet with their worksite prior to the program start date in order to better understand the work requirement and to learn whether the placement is a logical fit for both parties. Prior to the start date, each worker is also required to attend a session that confirms what the expectations are for a worker to be successful. At the end of the six weeks, a Work Readiness Evaluation is completed by the worksite supervisor. This quantifies the workers performance and provides a valuable reference for the worker. Additionally, in September of the next school year, this document is also reviewed by the SYWP Program Manager with the Giles School Career Counselor and the Giles Schools Guidance Counselor(s) in order to better assist them in understanding how their students performed, be made aware of any issues that may have arisen and to provide insight into how they may utilize these findings to enhance student success. Thomas “Michael” Tickle Michael intends to be in the Auto Mechanics program this fall and hopes to go into the mechanical field. He is also a volunteer with the Narrows Fire Department. 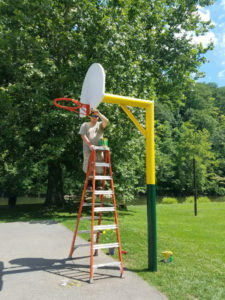 Michael is pictured here painting for the Narrows Rec. Department; where he was placed. 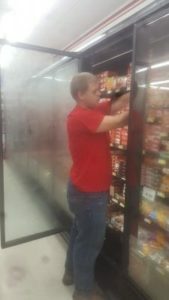 Joshua Smith Joshua was placed this summer at Grant’s Supermarket and is pictured here stocking the coolers. He intends to go on to the Tech Center this fall. Logan Kast This summer, Logan was placed with the Giles County Combined Services Department. 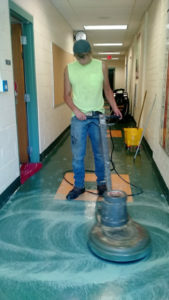 He is pictured here helping to prepare the schools for the upcoming year.